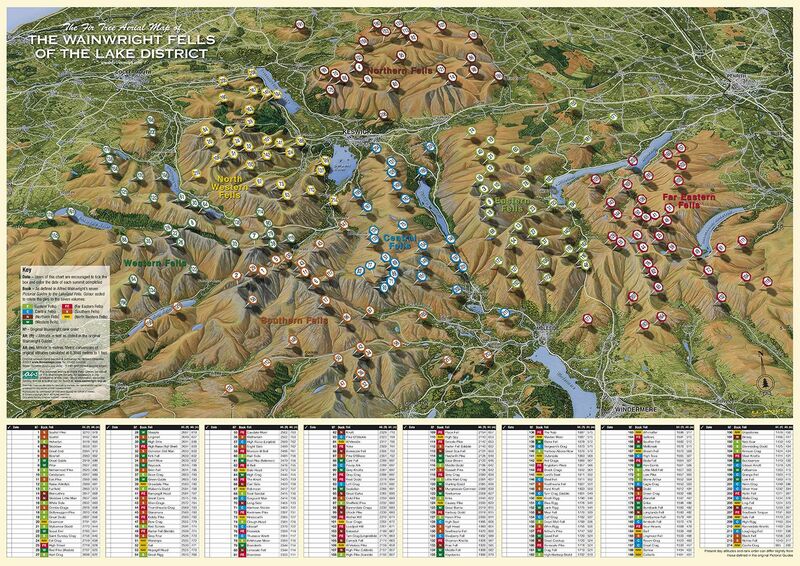 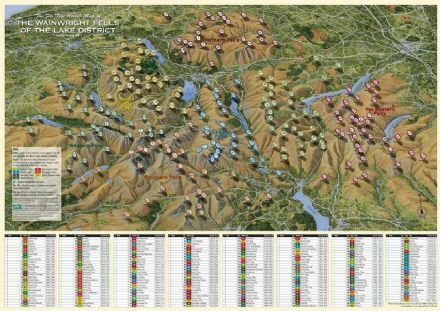 All 214 Wainwright Fells clearly shown on attractive 3 dimensional mapping. 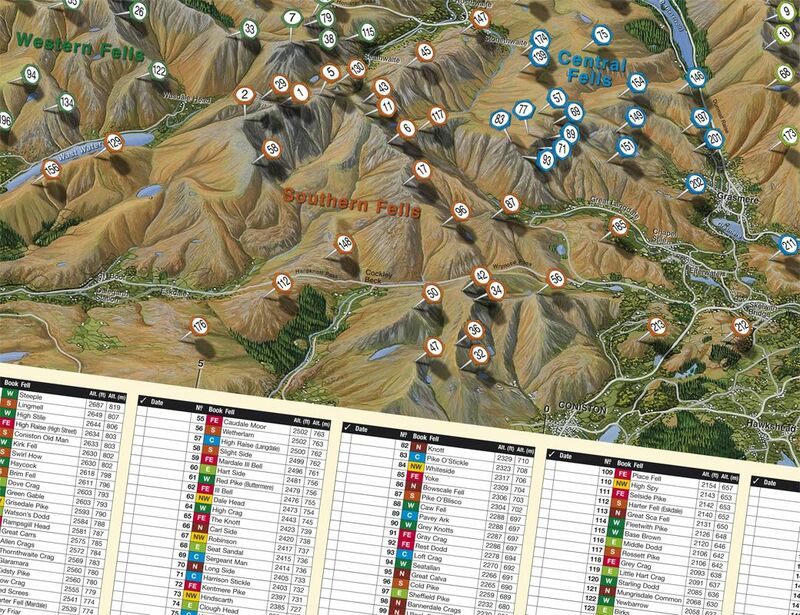 Each summit is indicated with colour coded numbered pin symbols to correspond with the classic pictorial guides published by the legendary A.Wainwright. 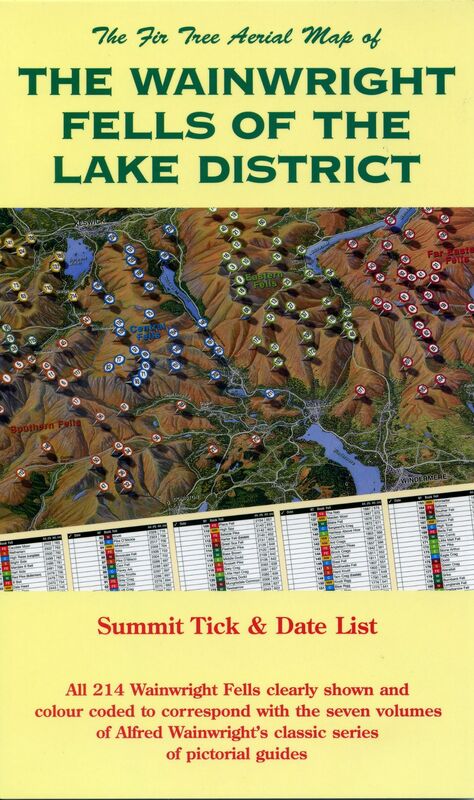 The map has a summit tick and date list for the user to fill in their achievements. 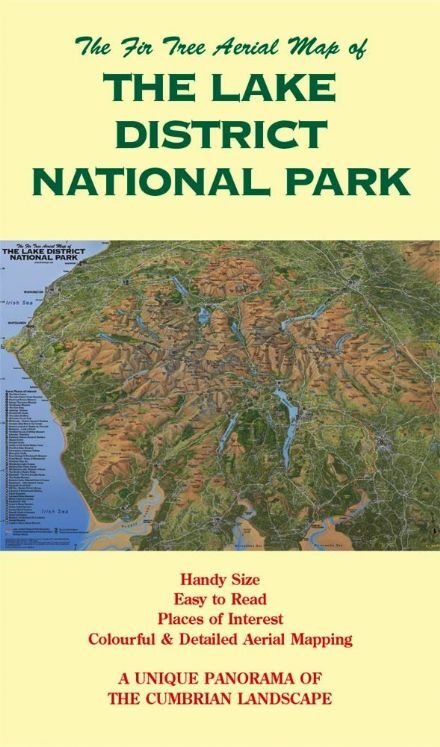 The rank order is stated in feet as well as metres and is colour coded in the original colours/regions of the pictorial guides. 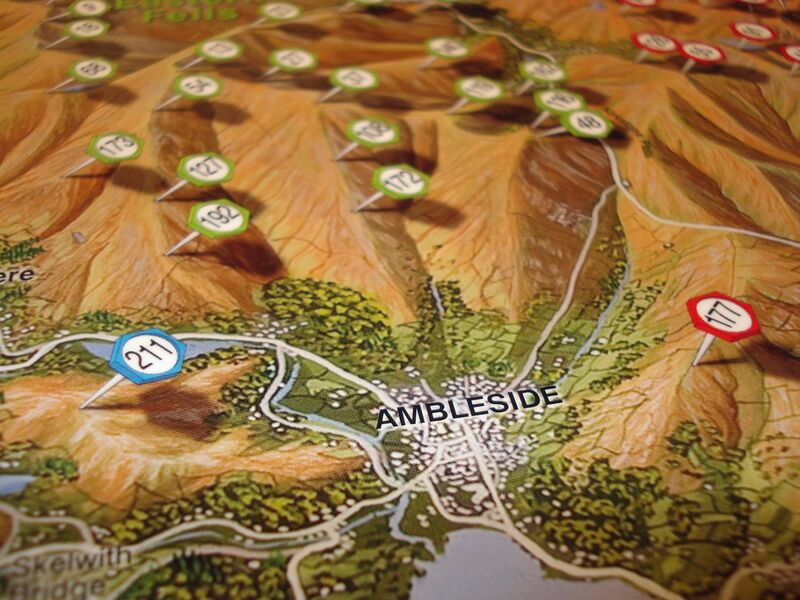 An attractive and useful map for all Wainwright Fell Baggers. 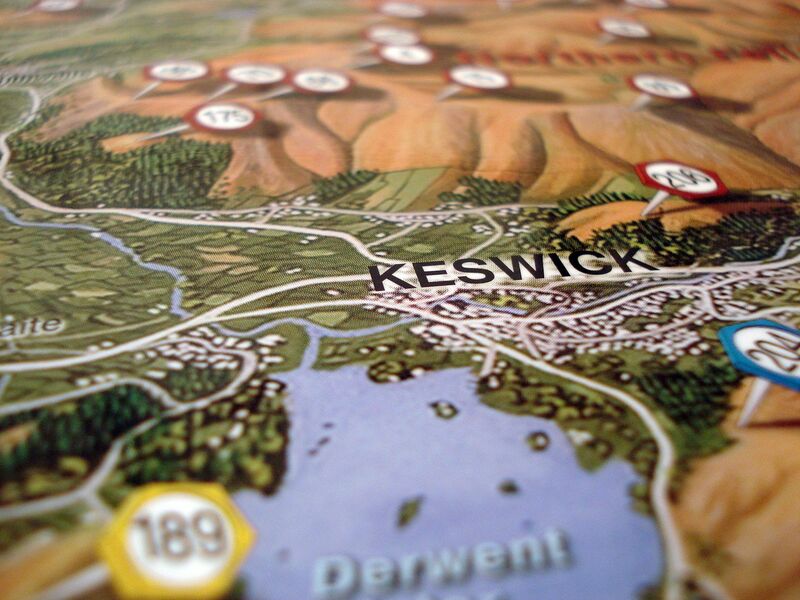 A2 size 594 x 420mm.